*Disclaimer: I received this wine as a sample from the PR folks for the Wines of Germany. 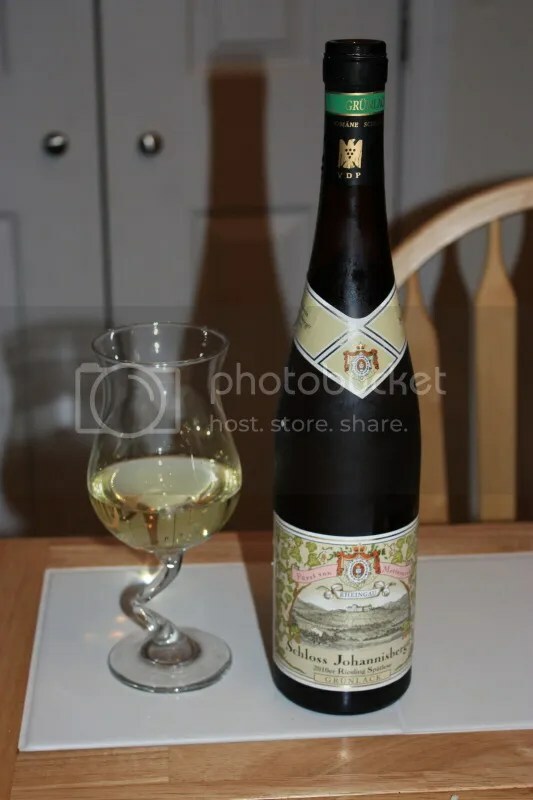 Riesling is one of those wines that I really enjoy, but for some reason it rarely crosses me mind to buy when I’m standing in front of the racks in a wine store. Perhaps it’s because I don’t have a very good grasp of German wine producers and I’ve been burned one too many times by insipid Riesling or perhaps it’s just because I don’t think about it often. Which is a shame. 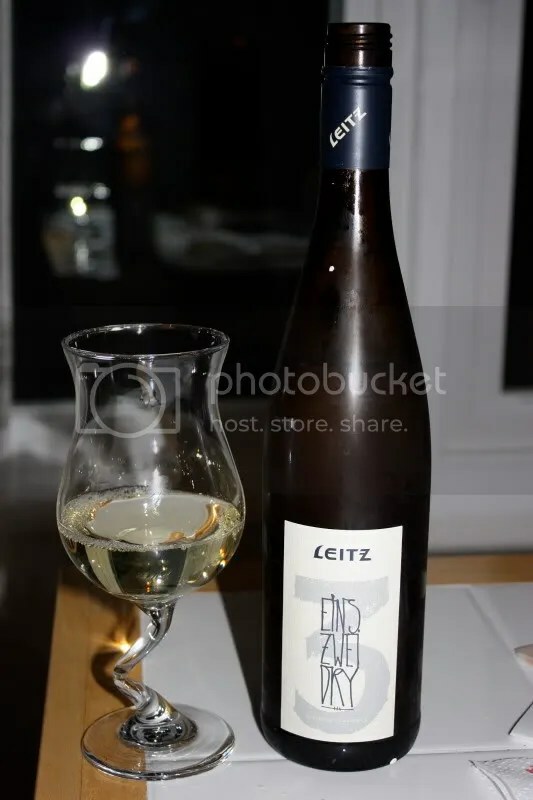 Riesling is a versatile wine, pairing with all sorts of different foods and its varying sweetness levels lending well to every course from cheese through dessert. 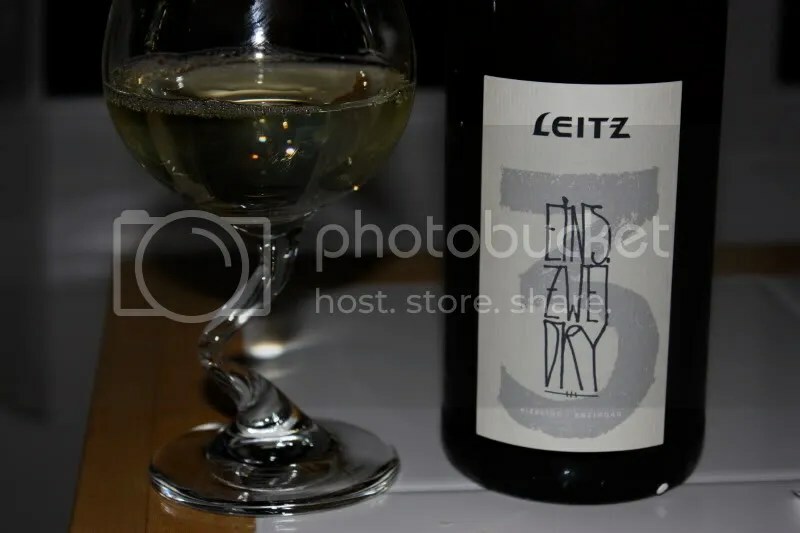 Tonight we tried out the 2007 Josef Leitz Eins Zwei Dry 3 Riesling Trocken. I see it retailing online for as little as $11, with the current 2008 vintage available as well for around $18. 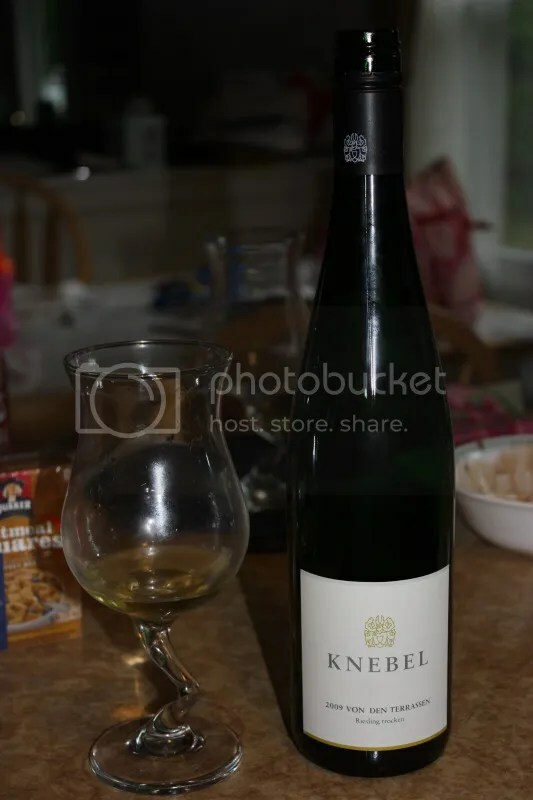 The Riesling clocked in at 12% alcohol by volume and had a screw cap closure. On the nose I got wet stones, apple, pear, flowers, some herbal notes, and meyer lemon. In the mouth more lemon and meyer lemon, apple, green apple, pear, and herbal notes. 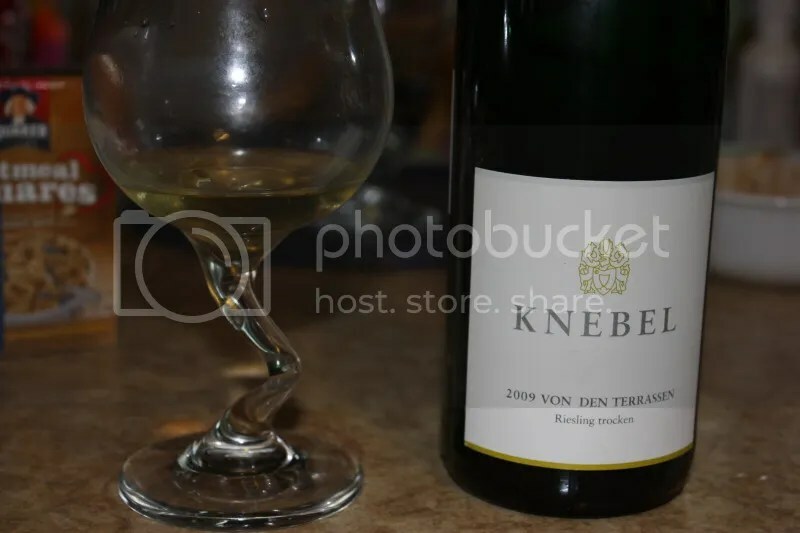 Overall I found this Riesling to be crisp and dry with nice acidity. While we drank it on its own, I would certainly serve this with my cheese course, or hand a glass to friends as they arrived to our house. At $11, the value can’t be beat. Disclaimer: I received this wine as a sample from the PR folks for Wines of Germany. Spring is in the air! I thought it might pass us over this year given our never-ending winter, but it appears that we are in the midst of a gorgeous spring! In spring my thoughts turn even more to sprightly white wines. Plenty of bubbly, Riesling, Gruner, and Sauvignon Blanc has been flowing in the Wannabe Wino house. 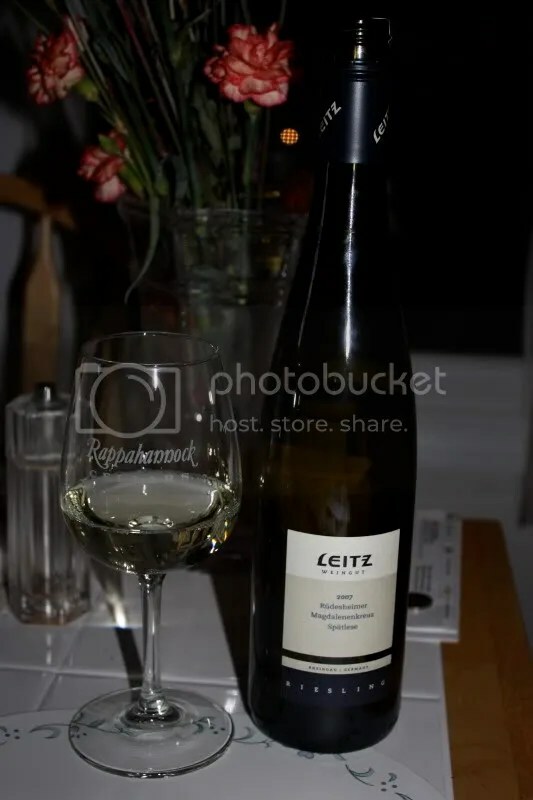 To continue in this trend I dug the 2007 Leitz Rüdesheimer Magdalenenkreuz Spätlese Riesling. It had a screw cap closure, clocked in at 8% alcohol by volume, and retails for about $20. On the nose I found flowers, honey, white peach, nectarine, apricot, and white pepper. I thought it smelled a little on the sweet side with the apricot and the honey. I found the palate to be pretty much identical to the nose with lots of stone fruit and a touch of apple. While it had a trace of a mineral vein running through it, I wished that it had just a little more acidity overall to hold it together. 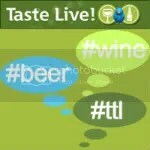 Wow has there ever been a lot of Riesling here on ye olde wine blog in the last couple of weeks/months. I’ve been buying more on my own, plus an influx has been coming in the sample boxes. You almost wouldn’t know that my heart lies with California Zin from the wines I’ve been tasting lately….I think there’s only been one Zin on the wine blog in the last 2 months! That’s okay though, it’s good to expand my horizons, but maybe I should do a a Zin month soon as I keep purchasing them and my basement is getting scary full of wine. 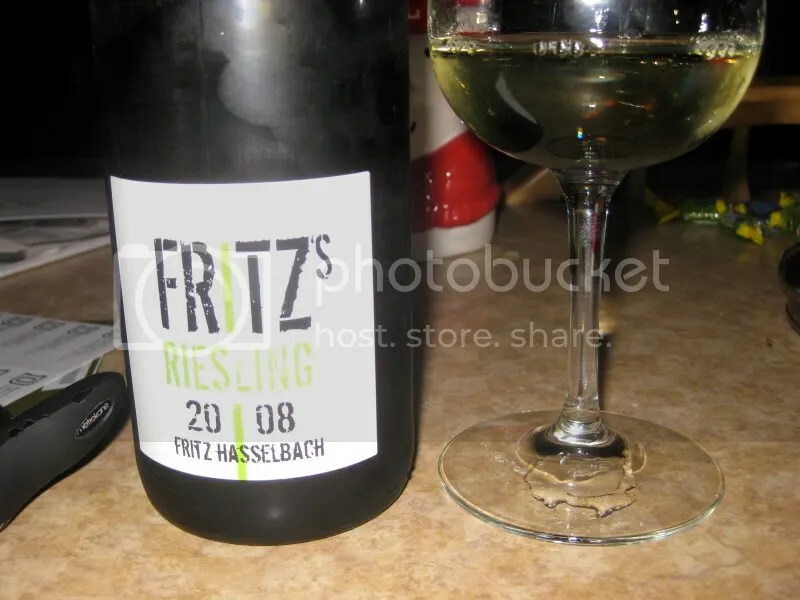 Anyway, I plucked the 2008 Fritz’s Riesling from Fritz Hasselbach out of a box on the floor the other night. It has a screw cap closure, clocked in at 12.5% alcohol by volume, and I see it retailing for about $11. On the nose I found lemon, vanilla bean, melon, tropical notes, and pear. In the mouth I thought the wine seemed sweeter than I expected. It showed lemon, pear, melon, and peach. 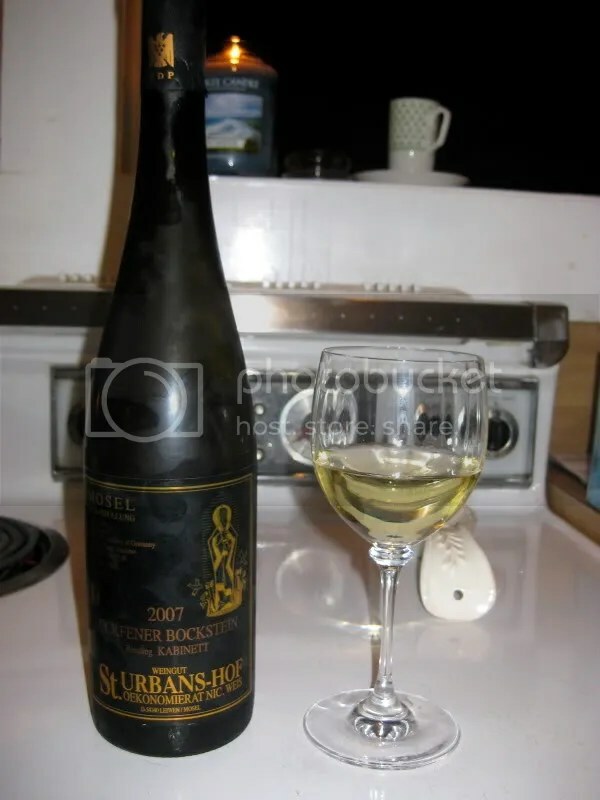 For a Riesling I found this to be fairly fruity and for the price point would be a nice way to help folks move into something different from their typical Pinot Grigio or Chardonnay if they are into fruity wines. *Disclaimer: I received this wine as a sample from Gallo Family Wines. Cute packaging is usually not my thing. I often feel if you need to dress something up so much you are trying to hide whats really inside. 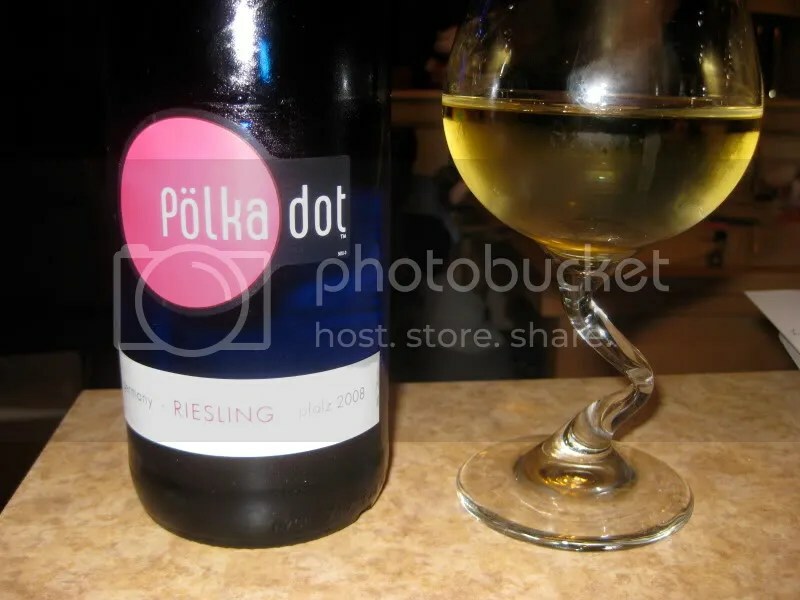 This is not the case with the 2008 Polka Dot Riesling. With a screw cap closure, a $10 price tag, and a 10.5% alcohol level, what you have here is a cheap and cheerful wine to help stretch your wine budget. 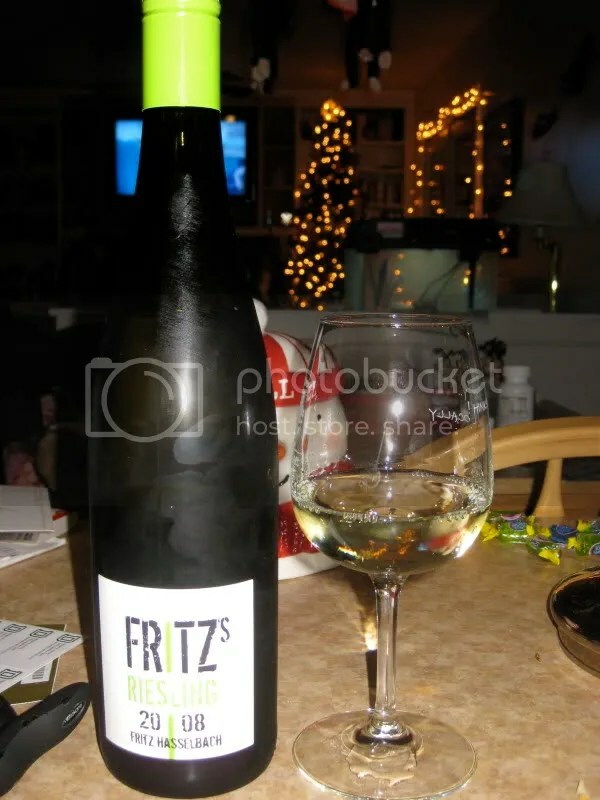 Sure, it’s not the most complex of Rieslings, but for $10 it’s a solid buy, would go over well at any holiday party, and is very approachable for folks who might not have all the German words for the various Riesling levels committed to memory. On the nose I got lemon, yellow apples, pears, honey, and white flowers. In the mouth I found lots of apple, pear, honey, and flowers. The mouth reflected the nose. 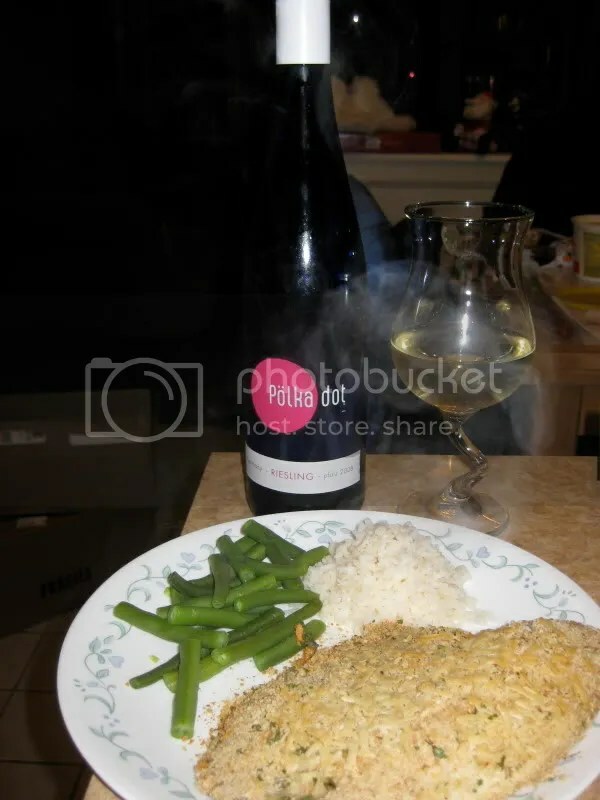 I served the wine with baked tilapia and it went very well. The wine had nice acidity and is one I would seriously consider as a contender for white wines at my next big party. While visiting my parents for the holiday, I stopped by the Madison Wine Exchange and picked up a mixed case of wines to sample over my 10 day visit. Apparently I should have picked up more as a few days later we had to head into Brandford Wine and Spirits and round that out with another half a case. 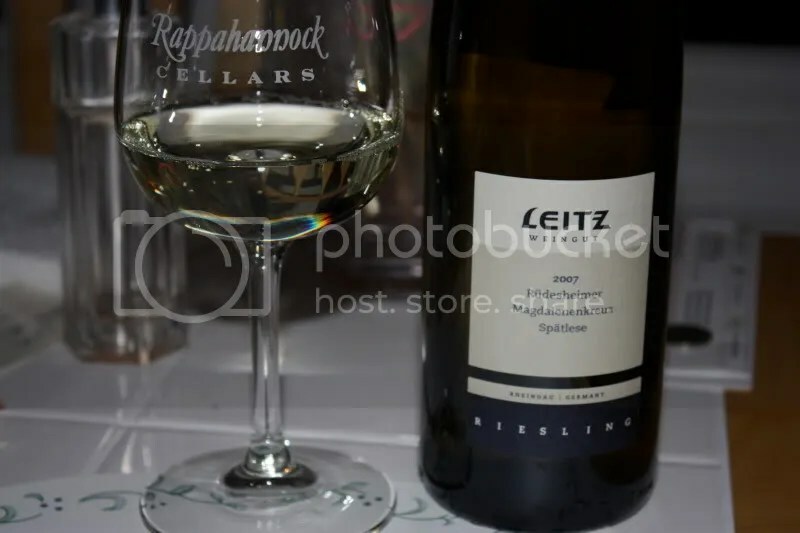 Among the wines in the first case, I selected several Rieslings. I don’t drink all that much Riesling and I’ve been wanting to, so I went for it. 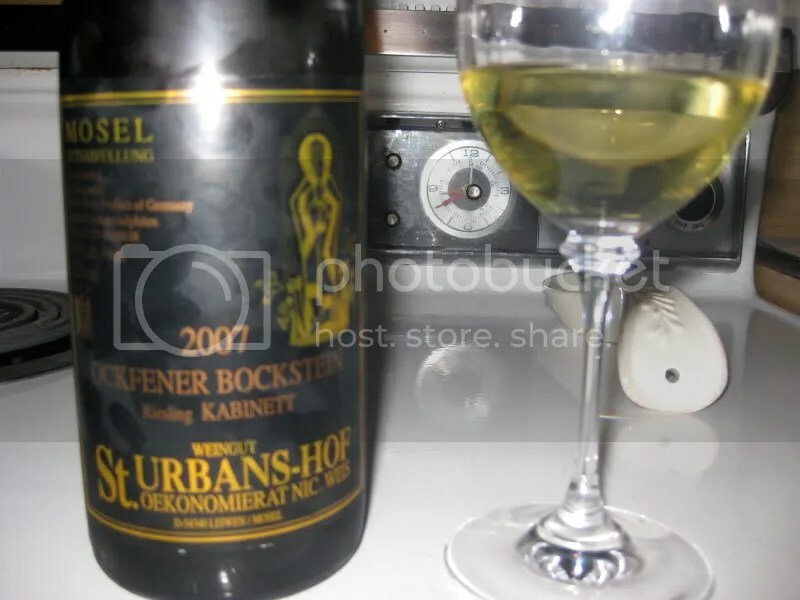 The first one we plucked from the box was the 2007 St. Urbans-Hof Riesling Kabinett. It had a real cork closure, clocked in at 8.5% alcohol by volume, and I see it retailing for around $16, though I can’t recall what we paid for it. On the nose I found petrol, nuts, lemon, and wet stones. It didn’t have as much of a nose I wanted it to. In the mouth I got citrus, lemon, peach, and some tropical notes. While it had a nice mouthfeel, I thought it could have used some more acidity.